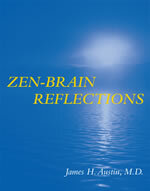 Zen-Brain Reflections is James H. Austin’s follow-up to his definitive Zen and the Brain. As always, Austin is learned and thorough. The book has great value. It is almost certainly the best survey of research in the field of neurotheology, or perhaps we should use Davidson’s term “contemplative neuroscience.” But ultimately it’s closer to a set of research notes than a book. It presents tantalizing ideas and intriuging possibilities, but few hypotheses or frameworks. We’re left with a lot of information, but little understanding. This entry was posted on Saturday, January 21st, 2006 at 09:36	and is filed under neurotheology. You can follow any responses to this entry through the RSS 2.0 feed. You can skip to the end and leave a response. Pinging is currently not allowed. Quote: It is almost certainly the best survey of research in the field of neurotheology, or perhaps we should use Davidsonâ€™s term â€œcontemplative neuroscience.â€? I like that Davidson’s term omits reference to a deity. On the other hand, his term has two more syllables than “neurotheology”, so it’s a bit of a mouthful. His term also gives me the mental image of somebody sitting around pondering about neuroscience! I found the book disappointing. Thanks Mike. Care to say why? The scientific view of the brain and its workings in verifying the case for Buddhism is legitimate, but that doesn’t account for what people experience in the way of transformatiion,transcendence or peak experience as coined by Maslow. For the last 2500 years buddhists have been practicing and meditating without the verification of scientific data or analysis. In ZEn they would say it is the finger pointing at the moon and not the moon itself. I give the author credit for attemping this awesome task of telling us what it is like to experience these states, however one must taverse the ground of being oneself and all the writing and books in the world will not even come close to what this experiece is which is totally an indivdidual experience in itself. The ineffable cannot be touched in this manner although science makes a great attempt in investigating what actually is felt by those who meditate,but the essence of what happens is lost in this kind of analysis although it is a noble attempt to solve a riddle that has no end. Peter, I don’t believe that the book is meant to invalidate or validate the experience and meaning of Buddhism; I think it is meant to corelate the subjective experience of meditation with events and paturns in the brain. Put another way, the experience and power of meditation does not legitimise or illegitimise the study of it… Science does not strive to “tell us what it is like” but rather, it strives to tell us what it objectivity is. Science does not do well in the subjective field (yet), hence this awsome task as you aptly put it. On the other hand though, you claim that science cannot touch the experience of meditiaton. But who are you to know what science will eventually do? Science is the MATERIAL. Meditation is the SPIRITUAL. NEVER, THE TWAIN SHALL MEET! YOU CAN’T EXPLAIN ONE WITH THE OTHER! THEY EXIST IN TWO VERY DIFFERENT AND VERY SEPARATE UNIVERSES!